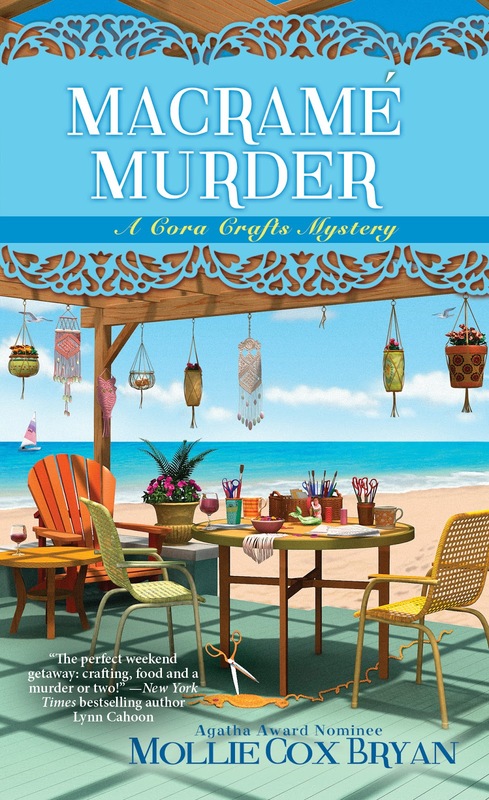 We were all looking forward to this crafty beach retreat. We love to get out and meet other crafters and teach. Plus, I was hoping for some down time with my new boyfriend, Adrian, wanting to hang out and just get to know him more. Wouldn't you know that things have gone very screwy? We're not in charge, thank goodness, just guest teachers. I don't know how I would handle all the weirdness of this retreat if it wear mine. What's gone wrong, you ask? Well, what hasn't? Let's just start out with this beautiful--but very strange--wedding on the beach and the bride's dead body turning up the next day. Turns out she was a "mermaid scholar," among other things. And then, of course, there's the resident "psychic," and all of the island mermaid "sightings." I've always been okay with mermaids, but this place is starting to creep me out. It's creeped my partner Jane out so much, that she's considering sending her daughter home. It's a disaster. I just wonder if the Big Island Craft Retreat will ever be the same. And let's not get started on my relationship with Adrian. How do you feel about mermaids? 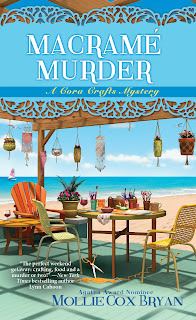 Comment and win a copy of MACRAME MURDER. When I think of Mermaids I think of the William Powell, Anne Blythe Movie and a beautiful half-fish half woman luring Sailors. But in particular if you grow up with Walt Disney you like them...this book sounds good. There's a great knitting pattern for a mermaid blanket! bobwiesmann at gmail dot com. I love mermaids! I even have a knitted mermaid tail that's great for cozying up and reading. I know mermaids aren't real, but there is something magical about them. A great fantasy creature. Mermaids have an interesting history. I love mermaids! I bought all the DVDs for all the seasons of the Australian show "H2O"! Good, silly fun--and a mysterious island!! I know that show and it's IS a lot of fun!